Ezt a terméket eddig 38 alkalommal vásárolták meg! 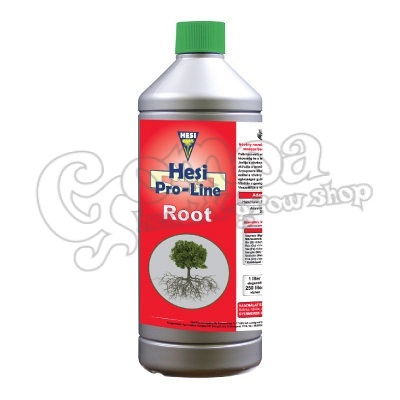 Hesi Pro-Line Root is a complex nutrient solution that helps plants grow roots. Planting and repotting the plants comes with a lot of stress for them. This fertilizer makes it easier to cope with this stress, and also feeds useful microorganisms in the soil. Inorganic magnesium sulphate solution (5 mg + 10 SO3), enriched with micronutrients for horticultural use. Pro-Line Root is a perfect solution for mother plants and offshoots alike. Mix some of it with the irrigation water of the mother plant just some days before cutting down the offshoots. This way the plant will store up useful elements in the offshoots to have an advanced start right away! Plants that are fed with this fertilizer during planting and repotting will become stronger, healthier, and will grow more rapidly. This solution can be used in soil, coco, and hidroponics as well. Hesi Pro-Line Root can be combined with other Hesi products: Pro-Line SuperVit supplements important vitamins and amino acids to this fertilizer. Pro-Line TNT serves all the basic macro elements.